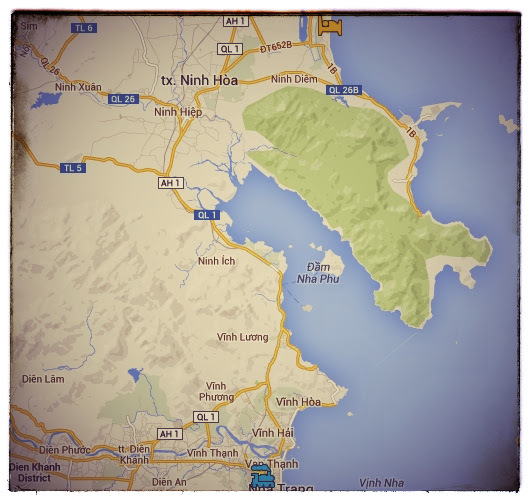 For the first time ever, I planned ahead before going to Nha Trang. I looked online for a nice place to relax for a couple weeks and found it in Paradise Beach Resort in Doc Let. Then I made, dear I say it… reservations. I sent an email with my expected date and time of arrival. This will most likely never happen again. So take pictures now. 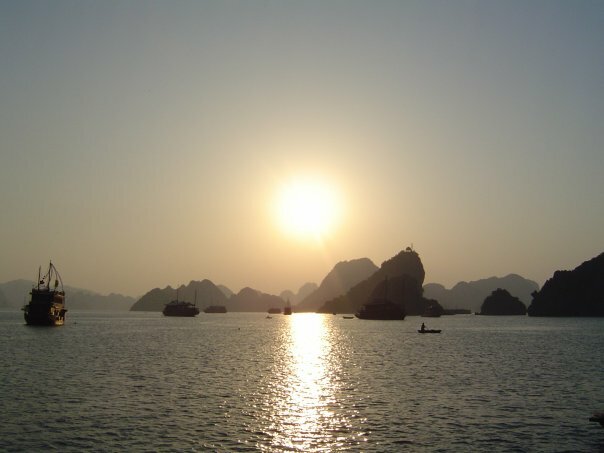 While traveling in Vietnam, I had heard stories of tourists who got into cabs and asked to be taken to Hotel A only to be told that either Hotel A is closed, Hotel B is better, or they are taken to Hotel B and told by the driver that it is Hotel A. The cab driver usually gets a commission from Hotel B to drop off naïve tourists. You should travel with a picture of your hotel and its address if you have made reservations. 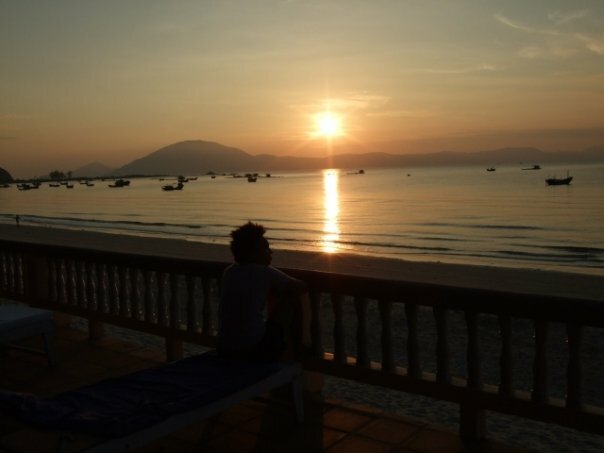 I knew that by the time my train pulled into the Nha Trang station I would have been on the train for over 24 hours and I would be in no mood to deal with dishonest or pushy cabbies. So in my email I asked the resort owner to have a taxi there waiting for me. Because of the low price of the lodging I knew that the taxi would not be free. The guy that was called had a deal with the hotel and charged me a flat rate of $20 for the hour-long drive to the resort. Other guests who got their own taxis ended up paying two or three times what I paid. One cab driver who said he knew where the resort was got “lost” and demanded an unreasonable amount of money as a “getting lost” fee. The driver’s logic was that the place was so hard to find that he should be compensated for the extra time and gas he took locating the place. This would have been alright, if the driver had not stated at the beginning of the trip that he knew exactly where Paradise beach resort was and because of that statement he was chosen over other drivers. I still don’t want any pineapples! When I got off the train, there were vendors galore! About twelve people tried to talk me into buying a pineapple before I made my way to the pushy cab drivers. Many of them tried to carry my backpack for me. I was successfully ignoring most of them when I saw a lonely looking man in the distance standing next to his van as if he were being punished by his grade school teacher. He was half-heartily holding up the most wonderful sign I had ever seen. It said, “Josie — Paradise”. Guest 1: And What did you do today? Paradise was a great place because there was nothing to do; absolutely nothing to do. There was free internet there, but it seldom worked and it was really slow when it did. The resort was never crowded during my stay. 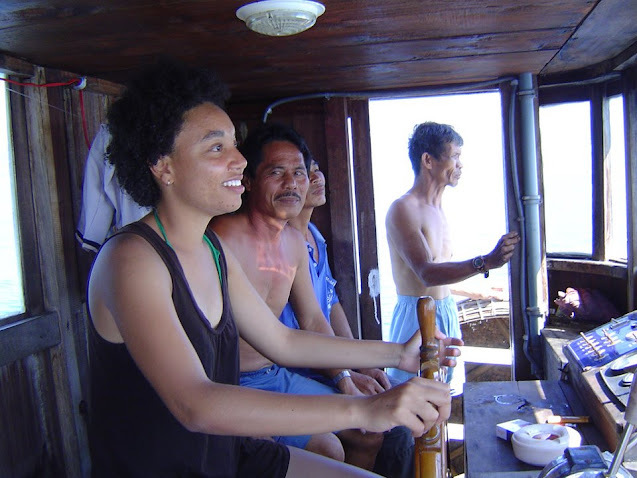 When I first arrived there were five guests, including me. My days were spent eating, swimming, reading, and sleeping. My day would start around 6 am. I would just lie in bed, then go for a swim. Sometimes I would wake up earlier to watch the sunrise. After swimming, I would go to the main building for breakfast. By 7:30 am, I would be full and would have met everyone staying at the resort. Everyone seemed to wake up early there. At breakfast, we would talk about traveling, the best spots at the resort for a nap, and how great it was to be there and not at an office or in school. I would take a nap after breakfast, then read a bit and go swimming before lunch. All of this was done without the aid of a watch. The teenaged girls who worked there, walked around the resort at meal times, calling everyone to eat. After a while I stop caring about the time. In the evenings everyone would have dinner together. Since there was no TV to watch and nothing to do, we would all sit in the main hall after dinner and just talk. We would talk into the wee hours of the night, like 8 pm, and then head off to our beds. I met all sorts of fun and interesting people there. I ended up traveling with 3 of them to Ho Chi Minh City. There was nothing eventful that happened while I was there, except for the day the Russians showed up, the two snorkeling trips, and the two times I went to the market with the owner. They only stayed for one chaotic and noisy day. Like a harmless storm they swept in, caused quite a stir, and swept out. Then the resort when back to being laid back and quite. For the next few days conversations started with, “You know Ivan said to me?” or “You know what Anya did once?” After about a week the Russians were forgotten. …Oh, and the meals there were great. If you go there, try the salad. I would have stayed there for the salad alone! Everyone eats together, like one big or small family depending on how many people are there. There was always salad, a main dish or two, and fruit for dessert. Sometimes there was soup and once there was banana cake. I left Paradise totally relax and unable to cope with the real world. It was hard to use a watch again. 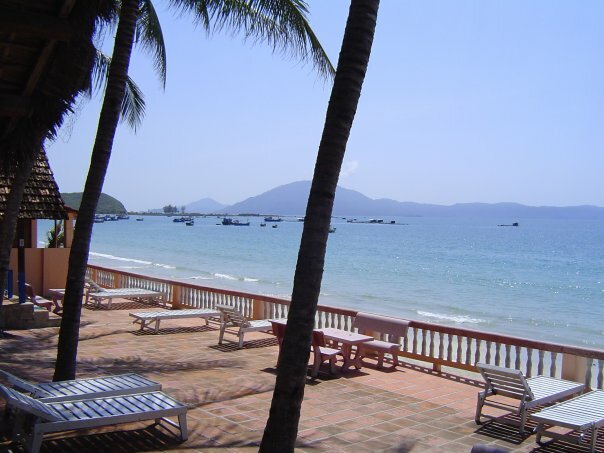 Go to Nha Trang, either to the train station or the airport and take a taxi from there. It’s best to call the resort and have them reserve a taxi for you. The depends on the room. 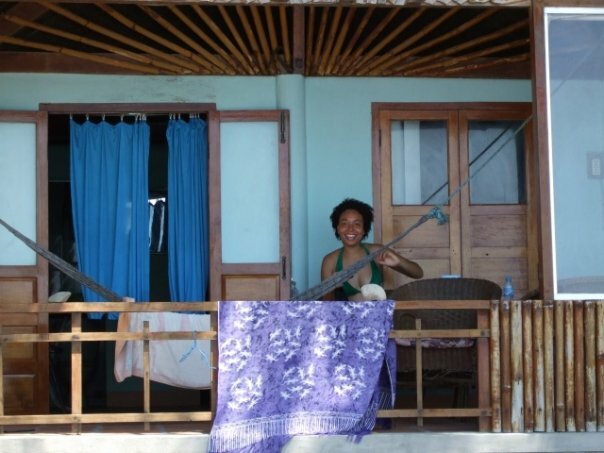 The one I had was 20USD per night for single; 15USD per person per night for double, and that was in 2008. The 20USD, or what ever rate you pay for your room, covers 3 meals a day. 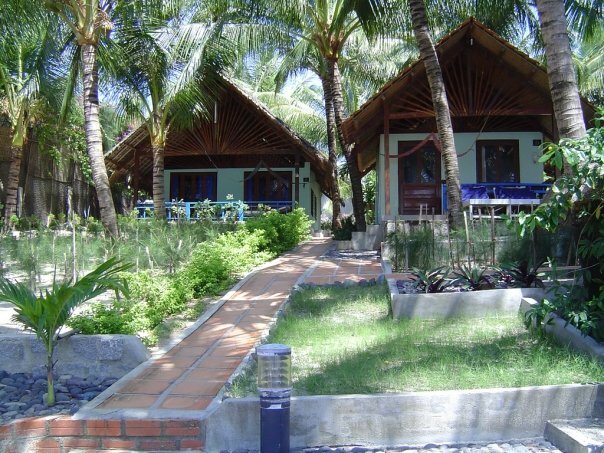 Paradise is in the town of Doc Let, which is near Nha Trang. 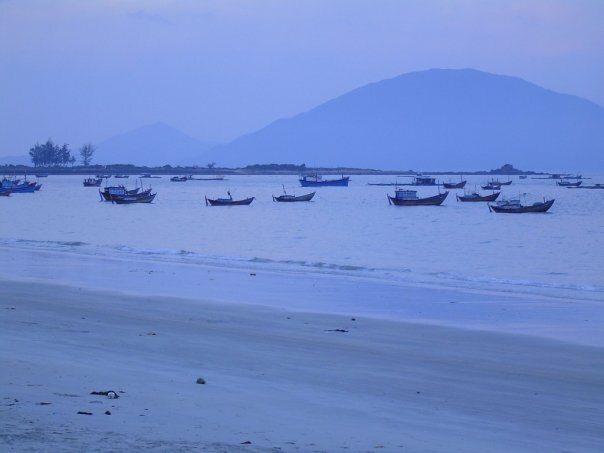 It takes one or so hours to drive to Doc Let from Nha Trang. There is nothing to do here. The website advertises “internet services” but there really isn’t any. There is a slow dial-up connection in the owner’s office and if you ask nicely he’ll let you use it. But it’s not good for anything more than sending a quick email to family and friends to say you’re still alive. Don’t expect to get any surfing done at the resort. There is an internet cafe within walking distance. 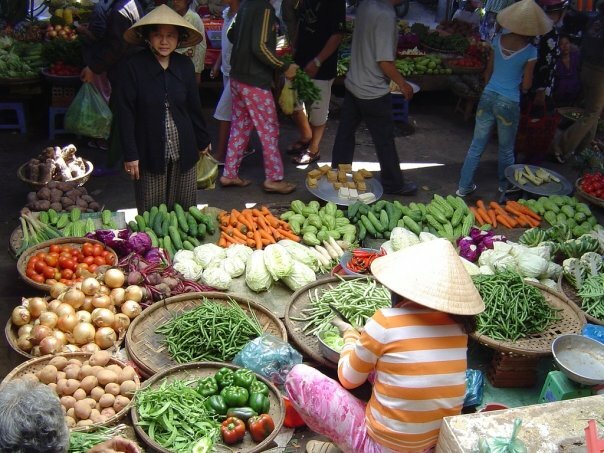 But, keep in mind that on a really hot Vietnamese day, nothing is really within walking distance. You can wash your clothes by hand or for a small fee you can pay one of the ladies to wash your clothes for you. They will do it by hand. If you want to go into town (Doc Let), the owner will gladly give you a lift for free. He drives into town just about everyday in his WWII era jeep. Just be ready to leave when he’s ready and to head back to the resort when he heads back. If not, you can pay someone with a motorbike to take you to the resort. There’s always someone willing to make a quick buck, umm dong. Bring some books and lots of sunblock.